If your child is dry all day, congratulations – they’re done potty training. Staying dry at night is a whole different task, and it can take a longer time for many kids. In the meantime, transitioning to GoodNites can help them stay comfortable. As a child development expert and mother of four kids – I know that a child’s developmental progress can be confusing so I’m here to help! If your child is dry all day, congratulations – they’re done potty training. Staying dry at night is a whole different task, and it can take a longer time for many kids. Nighttime dryness can lag daytime potty training and is something that usually evolves naturally as children grow. It’s simply a matter of your child’s physical development. In the meantime, I recommend transitioning them to GoodNites, a nighttime solution for your potty training graduate that can help them stay comfortable and confident at night. 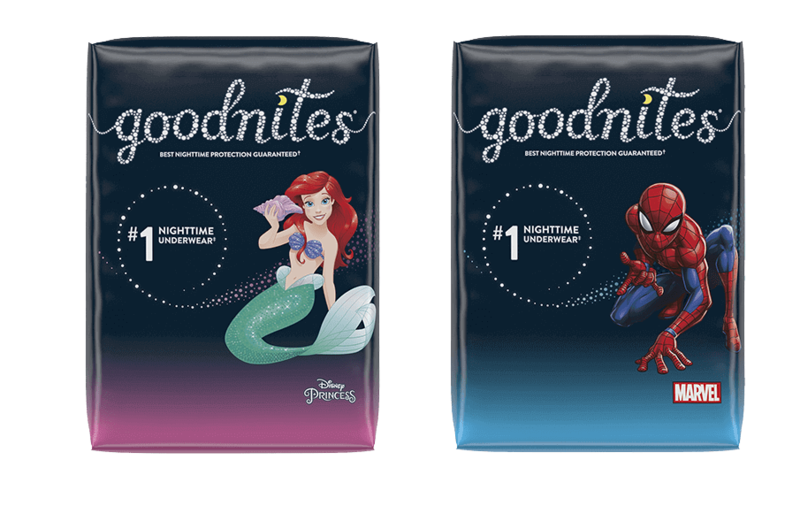 I know that growing up can sometimes be unpredictable, but nighttime wetting is one thing that can be managed with GoodNites. That way, it won’t become an ongoing source of anxiety so your child can wake up dry and worry-free – and enjoy just being a kid! If your child is younger and recently potty trained, they probably won’t be bothered by bedwetting as they’re too young to feel pressure about this from other kids. But they may have some questions about the transition to nighttime underwear. Just remember that your child is keenly aware of your feelings, including your reaction to nighttime wetting. It’s important to make sure these conversations with your child are open, positive, and reassuring. Here are a few talking points to help you prepare to have your conversation with your child to make the transition to GoodNites easier. Wow, you’re quite a Big Kid – you’ve finished potty training! Sometimes even older kids wake up wet. You’re growing up and getting bigger, and your body is growing too. One day you’ll start to feel when you need to go potty at night. For now, we’re going to make sure you’re comfortable at night and that you get a good night of sleep. That way, you can have lots of energy to play all day. These GoodNites are for kids just like you who are potty trained, but still need a little extra protection at night. Look – they have fun characters on them like Spiderman and Ariel. Let’s try them on and see how they work. We can put them on right under your favorite pajamas. What do you think?